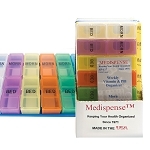 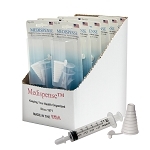 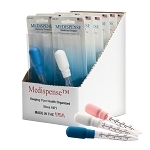 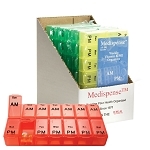 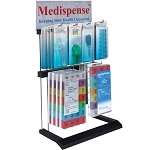 We now offer 3 different convenient display styles for merchandising Medispense™ products. 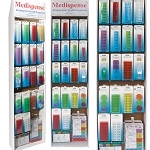 Our newest addition of stocked PDQ shelf displays allows you to simply remove the top of carton place in and on existing shelves. 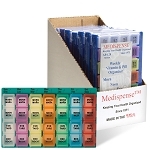 Each product is available in this format. 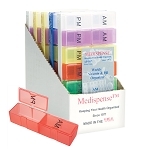 Select your own items to personalize your customers needs. 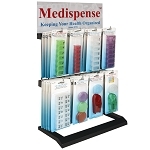 Sometimes you may only want two to four items to sell, therefor the shelf displays would benefit you. 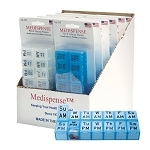 If your retail space needs to offer it's customers a large variety of medication dosing aids the powerwing or counter unit would be your best solution. 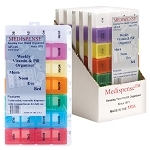 If you do not see what you are looking for please do not hesitate to call (888) 885-803 or CONTACT US online.